Housekeeping is a key department of a hotel. As we understand hotel business, there are two major revenue centres – Rooms Division and Food & Beverage Division. 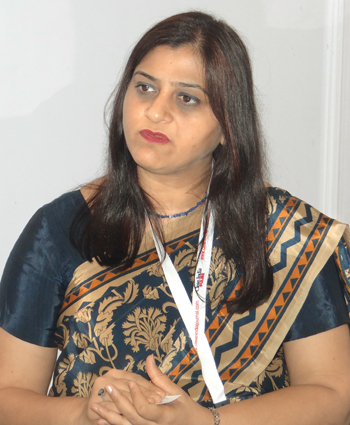 “Housekeeping is an integral part, both in terms of creating a standard product ready for sale and general upkeep & maintenance standards of common areas,” says Kasturi Deo, Executive Housekeeper, Hilton Mumbai International Airport. Housekeeping is still manpower driven but mechanized cleaning is an integral part as well. 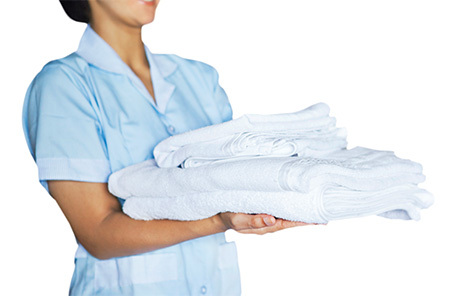 Even though there is no thumb rule for the percentage of allocation for investing in linen, laundry equipment, cleaning equipment, infrastructure and uniforms, there are huge purchases made depending on the size and type of the hotel. “Operational budget varies according to the property’s age. In a new property, upkeep and maintenance budget allocation is 1.5 to 2% of the revenue which gradually increases to about 6% in five years time. “Sourcing trained manpower and retention pose challenges. To ensure standards, we have constant training programmes, standard operating procedures, product instruction manuals, effective supervision and regular internal and external audits. The feedback system offers valuable insight about the guest’s perspective of standards, maintenance and the areas for improvement. Positive feedback encourages and reaffirms our standards maintained. “In the last 15 years, manpower outsourcing or contract housekeeping has matured in India. It is more organized and integrated in the hospitality sector. In the long run, outsourcing helps maintain our cost as fixed cost against having personnel on a role which is a variable cost. Cleaning practices have improved over the years and become more scientific. Better awareness has been created at all levels. As the guests are now well travelled, we have to update ourselves with the latest in cleaning technologies and practices. “Specialized cleaning like façade cleaning, carpet & upholstery maintenance & cleaning, floor polishing and care have been outsourced to professional cleaning agencies. This helps us to focus on core areas besides reducing manpower cost & liabilities, capital cost and storage place. “The cleaning industry too has contributed to the change in cleaning practices. Especially multinationals like Diversey and Ecolab have created an educational approach towards marketing their product range. 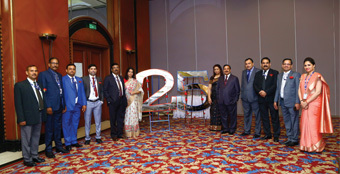 Simple Alpha Numeric codes for product range and mechanized dilution solutions have ensured that even a common man can identify the unique usage of the product and safety standards. This has evolved our cleaning processes. “New techniques and innovations lead to better cleaning and maintenance standards with fewer hazards. Companies offering ecofriendly chemical or machinery sensitize us towards environmental issues and social responsibility. Even smaller cities are now aware and conscious about the cleaning products.